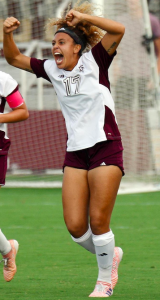 The club would like to congratulate Cienna Arrieta (Texas A&M / Houston Dash) for being selected to attend the US Women’s National U23 team training camp in Orlando, FL from November 28 – December 4, 2017. “Cienna joined our club in 2012 and immediately displayed the potential, dedication and commitment required to reach the highest levels in the game. She is one of the most self-driven individuals I have ever coached. She always strived to be the hardest working player on the field and she competed with such great passion and personality. 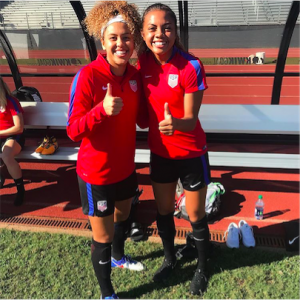 It is great to see her having such a positive impact at Texas A&M and now getting her opportunity to play with the US National Team. Congratulations Cienna!” Andrew Squire, Houston Dash.